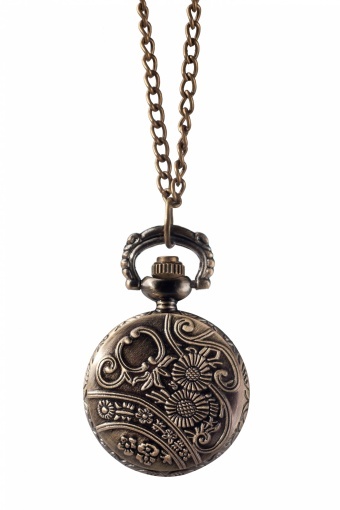 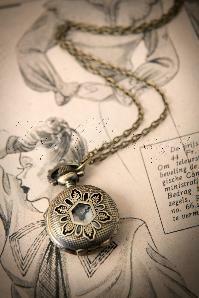 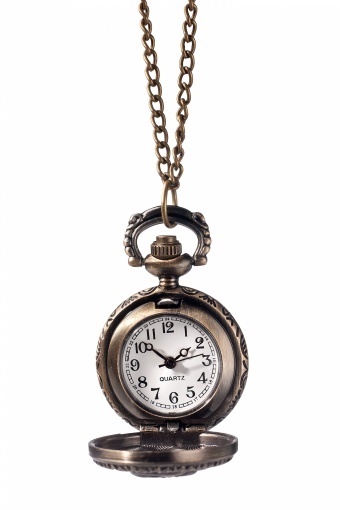 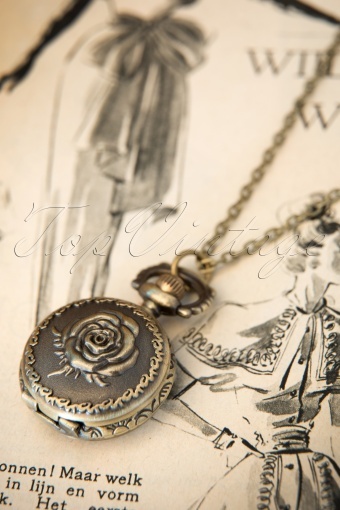 Lovely vintage style pocket watch necklace Petit montre ancienne Rose by From Paris with Love! 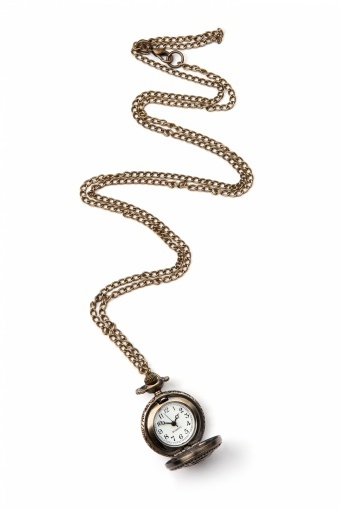 Antique look costume jewellery made of light bronzetoned metal (leadfree) with a small clock attached to large chain necklace. 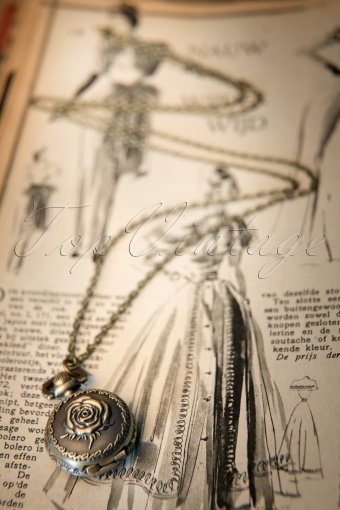 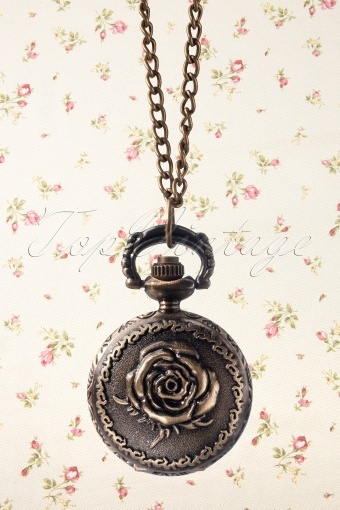 The cover is decorated with a cute rose that can be opened, revealing a beautiful vintage clockwork!